Be inspired by these influence quotes. 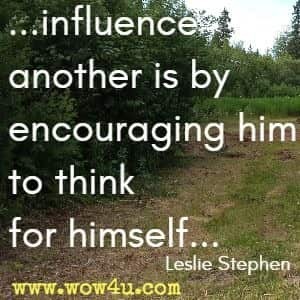 Never doubt the influence you have to encourage and help others. Be a positive influence in someone's life. 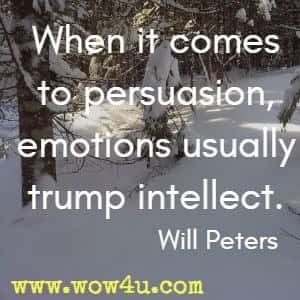 How much you can influence someone is completely dependent on how precise and complete the information is that you get from them. 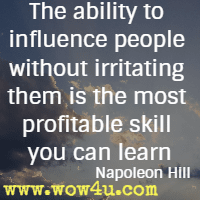 The ability to influence people without irritating them is the most profitable skill you can learn. 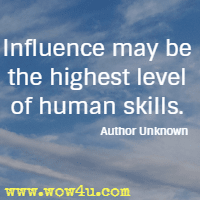 Napoleon Hill, Selling You! 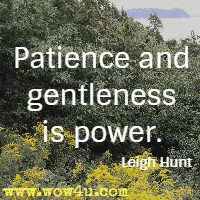 You are your child's first teacher, and quite possibly his most influential teacher. When your child see you reading of a somewhat regular basis, he comes to realize that reading is more than an isolated subject taught in the classroom and graded by a teacher. He eventually internalizes the fact that reading is a requisite for a complete and fulfilling life. 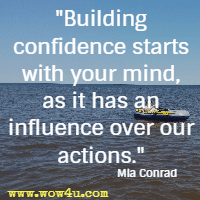 Building confidence starts with your mind, as it has an influence over our actions. Mia Conrad, Social Anxiety: Overcome Social Anxiety And Shyness!